So there I was standing in the middle of a rain storm last week in my flip-flops. Needless to say, it was a disaster and I was definitely ill-prepared for the weather. 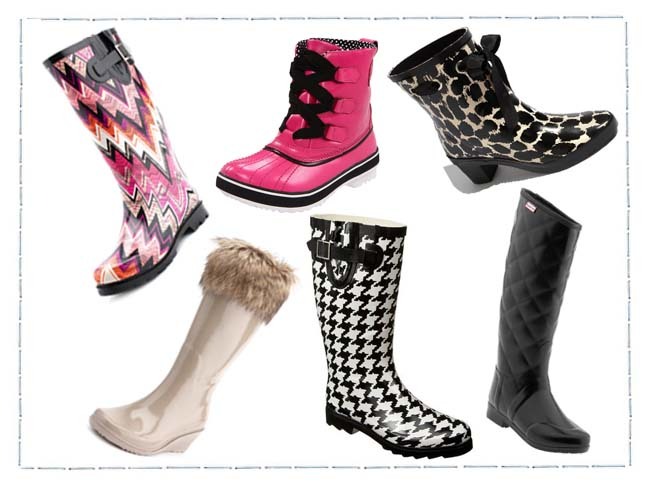 However, my misadventure does give way to a good thing…shopping for new rainy day footwear. There’s nothing better than a stylish pair of rainboots to make you smile as you wait for the rain clouds to disappear and a rainbow to show through instead!